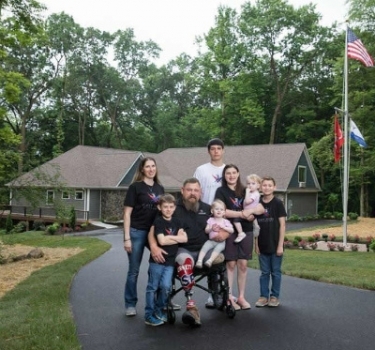 Local integration firm Xtend Technologies worked with the Gary Sinise Foundation to create the perfect smart home for archery Paralympic gold medalist and war veteran Eric Burkett and his family. The Gary Sinise Foundation R.I.S.E. 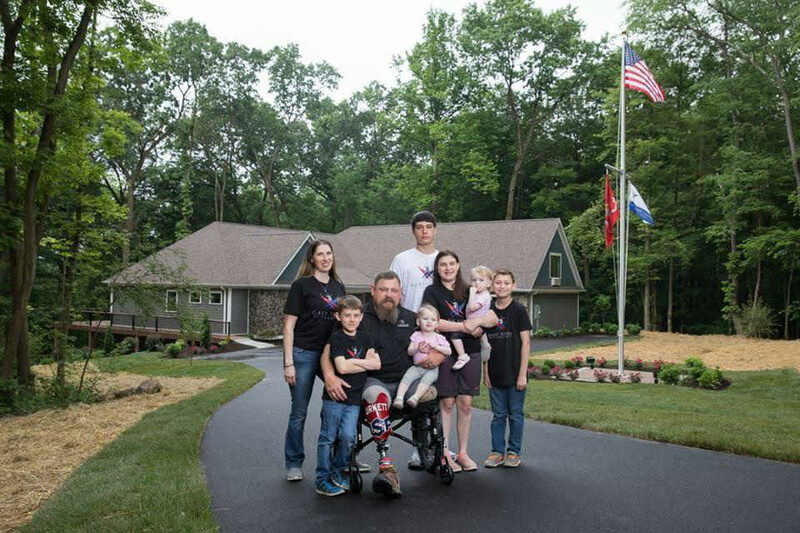 Program built a specially adapted custom Smart Home for U.S. Marine Corps Major Eric Burkett with technologies provided by Nortek Security & Control. In April 2012, two weeks into his sixth deployment, U.S. Marine Corps Major Eric Burkett was flying as part of Operation African Lion when his plane crashed in Morocco. Burkett suffered a number of injuries that eventually resulted in the amputation of both of his legs. Recognizing his service, the Gary Sinise Foundation R.I.S.E. program (Restoring Independence, Supporting Empowerment) built and customized a specially adapted smart home designed to specifically address his needs. The New Castle, PA ranch style residence relies on an ELAN Entertainment & Control system for control and automation of the home’s audio, video, lighting, security, HVAC and more. According to Nick Fabrick, vice president of integration firm, Xtend Technologies, “The ELAN system simplifies everyday life for Burkett and his family, giving them access to all of the systems in their home through one easy-to-use interface. Xtend Technologies integrated a Lutron lighting system, consisting of 27 Lutron Dimmers, into the ELAN platform which allows Burkett and his family to control the lighting inside and outside the home, at the touch of a button. Through ELAN, they were able to program automated scenes for the exterior lights, which automatically turns them off and on at set times throughout the day. Also integrated into ELAN is the extensive security system, which monitors all windows, doors and motion detectors throughout the house. Through the ELAN interface, Burkett and his family have access to arm, disarm and view all surveillance cameras on the inside and outside of the property. “To make things easier for Burkett and his family, remote door locks were integrated with ELAN, allowing them to lock or unlock the doors and monitor who is coming and going from the house,” says Fabrick. For added security, a Door Bird video doorbell announces the doorbell through the home’s 21 SpeakerCraft speakers and automatically switches the in-wall touch panels to the intercom mode when the doorbell rings. On the ELAN interface, Burkett and his family are also able to check on the status of every sensor throughout the home, allowing them to see if a door is open and where, as well as view the system’s history showing them when the system was armed/disarmed and the location sensor that was tripped. The home entertainment system integrated into ELAN consists of multi-room audio with SpeakerCraft in-ceiling and in-wall speakers, Sunfire subwoofers in the great room and media room. A Panamax M4315-PRO BlueBOLT-enabled power conditioner ensures that all of the equipment runs smoothly and is protected from power spikes and surges. Multiple video zones with ELAN AV over IP distributing the media were also incorporated, which allows Burkett and his family to listen to or view on any of the speakers or TVs in the house on any source they want. As a special surprise to Burkett, who regularly competes in the Paralympic games and has won numerous Gold Medals for archery, an indoor archery range was installed spanning the length of the basement. The space is equipped with SpeakerCraft in-ceiling speakers so he can play his music while practicing. A camera was also installed above the archery target, which through the ELAN system, Burkett is able to access from an iPad so that he can get a close-up view of the target from the firing line. “We knew that Burkett was really involved in the Paralympic archery community, so we wanted to surprise him with an area of the house that he could call his own. By integrating both the audio and video in the room with the ELAN system, he’s easily able to customize the music in the space and perfect his aim using the target camera views accessible through the ELAN app on the iPad," explains Fabrick. Also Read: Mountain Heritage Systems 40-Year Integration Strategy—Constant Change! According to Judith Otter, executive director of the Gary Sinise Foundation, the home was tailored to fit the unique needs of the Burkett family. Take a look at the slideshow to see more pictures!